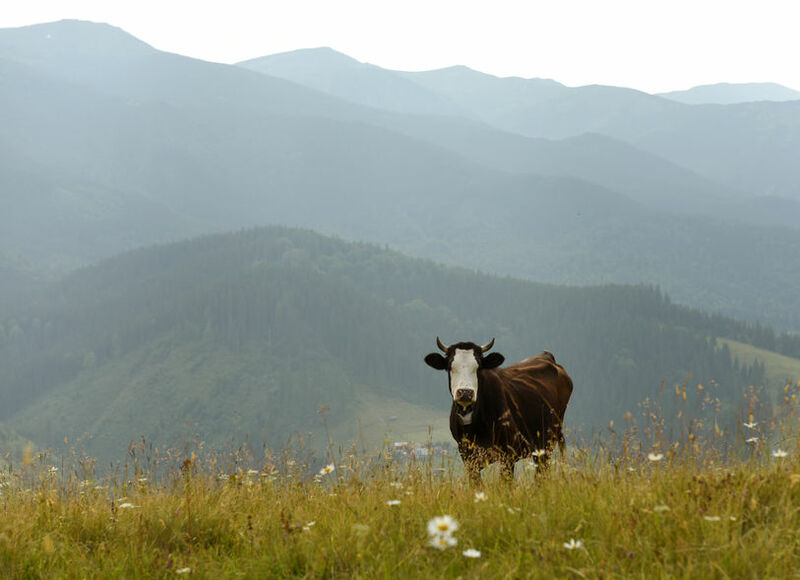 A court in Austria has ordered a farmer to pay out €490,000 (£425,550) in damages after a German hiker was killed by one of his cows. The incident happened in July 2014, when the cow herd became irritated by the 45-year-old's dog and charged at them both. The farmer, from the Pinnistal valley in Tyrol, located in the Austrian Alps, has now been ordered to pay out compensation to the hiker's husband and son. He is to appeal against the decision. The Innsbrück court concluded on Friday (21 February) that the German woman was not to blame for the stampede. The farmer's warning signs on the pasture were insufficient, the court ruled. However, Austria's Chamber of Agriculture has raised concerns over the hefty fine, highlighting how it could trigger a mass closure of footpaths which run through farmland. The group's president, Georg Strasser, said it is 'common sense' not to bring dogs through hiking trails that contain cattle. Meanwhile, the Tyrolean Chamber of Agriculture said the court's decision is 'out of touch with reality'. British farmers encourage the public to follow advice from the NFU, the Ramblers Association, and the Countryside Code when it comes to walking across farmland in the UK.